See driving abroad and road travel in Spain. Holders of UK driving licences who are resident in an EU country should exchange their UK licences for a driving licence from the EU country you are living in before 29 March 2019. For more information see driving abroad. See driving licence renewal and exchange. If you are resident in Spain, you will not be able to renew a lost, stolen or expired licence with the UK Driver and Vehicle Licensing Agency (DVLA). It may be easier to convert your UK licence to a Spanish licence before it expires. If your UK driving licence is lost or stolen, you can apply to the DVLA for a ‘certificate of entitlement’ in Spanish that can be used to apply for a Spanish driving licence. 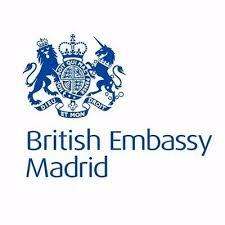 See how to exchange your UK licence for a Spanish one (PDF) on the Dirección General de Trafico website. If you hold an old-style UK licence, which doesn’t have a 10-year validity period, you must renew or exchange it for a Spanish licence once you’ve been a resident of Spain for 2 years. See taking a vehicle out of the UK. See information about car registration and taxation in Spain. If you spend longer than 6 months of the year in Spain with your UK-registered car, you must register your vehicle with the Spanish authorities. For information on how to do this, including how to change your licence plate, contact the Dirección General de Trafico. You may be exempt from some of these taxes in which case you will need certificates of exemption. See the Agencia Tributaria’s information on car registration tax.